It's not the news that's delivered to Angela Neko that breaks her apart—it's the rumbly, Texas drawl delivering it. She can't believe she's hearing Kellen's voice again. But there's no time for distractions. When Angela's own life is threatened, yielding up all of her lies and secrets, she and Kellen must figure out how to reverse the geopolitical firestorm she lit to save the world, to save Kellen's cat... and just maybe to save each other. I absolutely loved the first book in this series, so I was more than happy to jump on the second installment. However, I must say that while I still enjoyed the book, it wasn't as good as the first. The plot was twisted in unexpected ways, but I just didn't feel the same chemistry between the main characters, perhaps because their bond started years and years before the book takes place. I will say that the world building was still awesome, but once again not as much fun as the first book because of how Heron was involved with the technology. The secondary characters were super awesome – gotta love Chloe and Yoink. I can't wait to see where this series goes, even if this wasn't my favorite story, it was unique and fun to read. 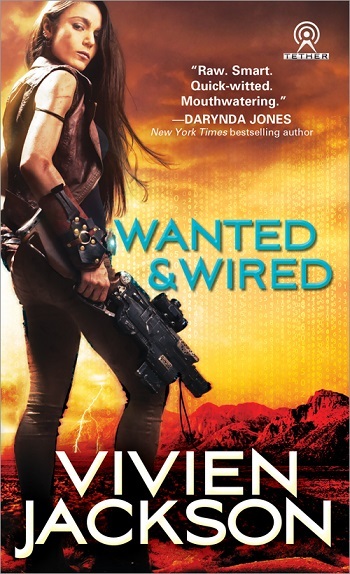 For reviews & more info, check out our Wanted & Wired post. 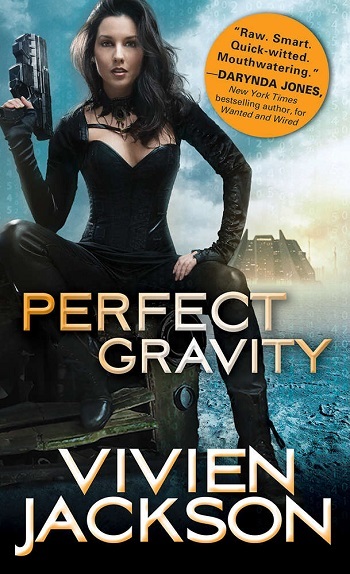 Reviewers on the Wicked Reads Review Team were provided a free copy of Perfect Gravity (Tether #2) by Vivien Jackson to read and review.